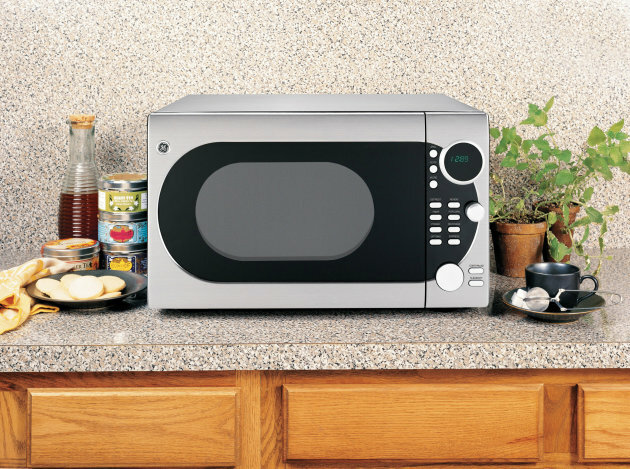 Some Day, Microwaves Will Count Calories For You | OhGizmo! By David Ponce on 07/09/14 • Leave a comment! Whether you’re trying to get fit by counting calories, or you’re just curious about what the damage will be from that home-made double-dipped deep-fried triple bacon burger, there are a number of tools on the market to come to your aid. But none of these will directly measure the amount of calories present in your food; they instead rely on databases of known values in oder to estimate the caloric content of your meal. GE, however, is working on a microwave that will be able to analyze the specific portion it heats, measuring the caloric content exactly. Matt Webster, the senior scientist in diagnostic imaging and biomedical technologies at GE Research determined that it’s possible to get an accurate calorie estimate using just three pieces of data—fat content, water content, and weight. The calories from all the other constituents of food—such as sugar, fiber, and protein—can be approximated by subtracting the water and fat weight from the total weight. In this fashion your oven could determine the caloric content of your food as it heats and send that information to your smartphone for tracking. The tech currently only works with blended foods, though the company is trying to develop their technique to work on everything. If successful, it would be more accurate than some other similar products recently introduced into the market that only analyze the surface of a dish, a method that works great with an apple but not so much with something like a burrito. There’s no word on when or even if this will ever see the light of day.